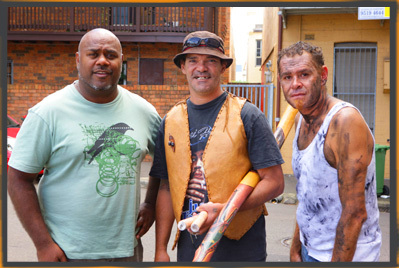 The Babana Aboriginal Men’s Group supports Aboriginal men both from the inner city of Sydney and the greater metropolitan area. The term Babana means ‘brother’ in the Dharuk language. A common form of greeting among Aboriginal men, the term ‘brother’ also conveys a sense of the cooperative effort and community that underpins Babana. Babana members meet regularly and are involved in a variety of activities and programs that address a range of issues ranging from men’s health, through to family relationships, anti-violence, anti-drug and alcohol campaigns, post release programs and more. Babana has been instrumental in running campaigns that help unite and affirm the positive values of traditional Aboriginal culture, focusing on healing together to create a safe and hopeful community. providing support and personnel to conduct 'Christmas for the kids' on the Block and at Wooloomooloo. As an organisation run by Aboriginal people, for Aboriginal people, with founding members that are respected and recognised as leaders, Babana holds an esteemed position in the Aboriginal community. This enables it to achieve outcomes that other organisations seldom can. This quality of leadership and integrity is recognised by both the Aboriginal and non-indigenous communities. 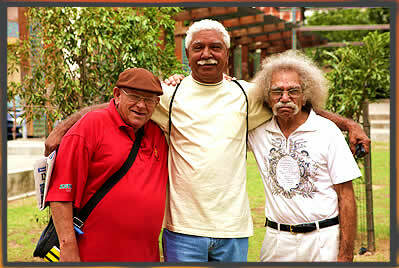 Babana’s Chairperson Mark Spinks and fellow Babana member, Shane Phillips, are both Australian of the Year nominees. Mark was also a nominee for the 2007 Australia Justice Awards while Shane was a member of the 2020 Summit at Parliament House in 2008. The vast majority of Babana’s work is unfunded. The organisation is run primarily by volunteer members of the community. Since its incorporation in 2006, Babana has grown rapidly and, as word of its work has spread, more and more needs are coming to light. With help from your donation Babana will be able to meet these needs and continue its work.